Two words have been haunting me since my last post: "nature-starved." I think there are many people out there who are afflicted lack of time outdoors, communing with nature. 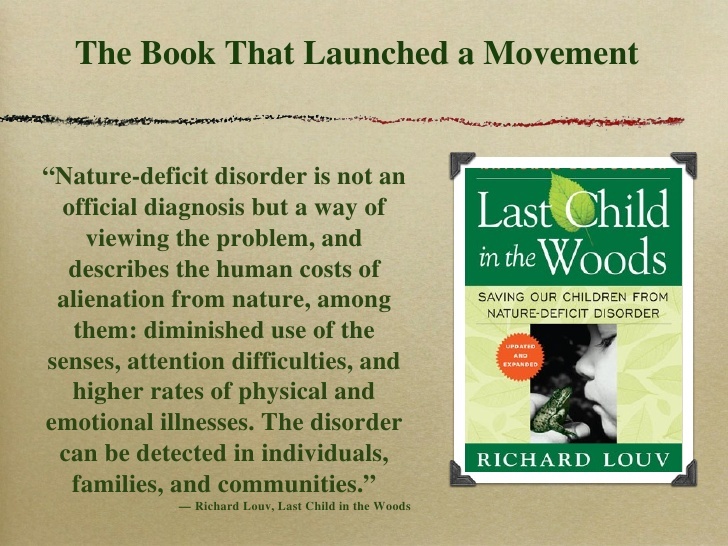 And I've written about Richard Louv & Nature Deficit Disorder a number of times here at GTG. 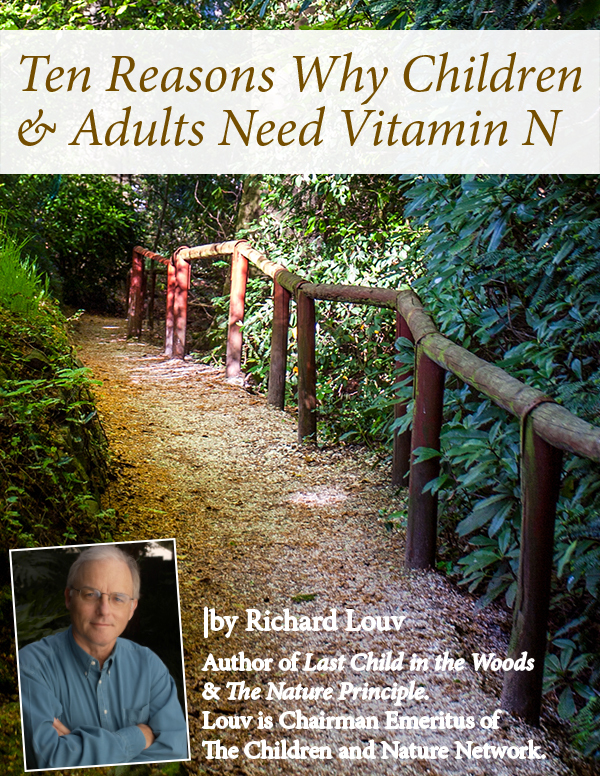 Looking at the publication dates of Richard Louv's books, you'd think we all should know well by now that "Vitamin N" (aka, Nature) is the cure that magically could soothe our disconnected souls. Yet, we are all still here in this same disconnected place, years later in 2015. Articles continue to be written on the topic, as tech addiction and waist lines continue to grow. If you haven't read either of Richard Louv's books, you really should. I'd recommend starting with Last Child in the Woods, perhaps because it's my favorite of the two (& my first read of them both). If a book isn't your style, here are some other good places to start. 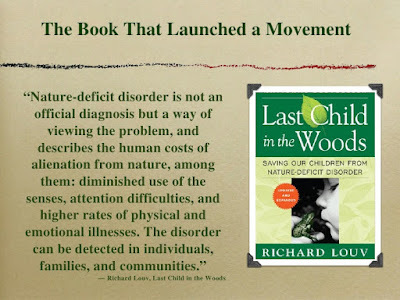 Or, watch this, a video excerpt based upon Richard Louv's book "Last Child in the Woods:"
May these sources inspire yourself to get out and about and get your daily dose of Vitamin N. It's easy to start small. Go take a walk. Read a book outdoors. Sip something refreshing on your back patio and soak it all in. Write a blog post outdoors while sitting outdoors. (Oh wait! That's what I'm doing right now!) Go out in the world to explore & have an adventure. Let me know what it is that you are doing!